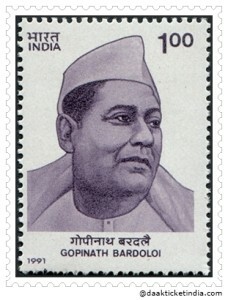 From 11th February 1946 to 6th August 1950, for a period of 4 years, 5 months and 26 days, Mr.GOPINATH BORDOLOI of the Indian National Congress/INC had been the First Chief Minister of Assam State. 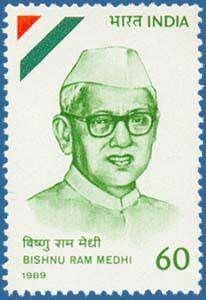 From 9th August 1950 to 27th December 1957, for a period of 7 years, 4 months and 18 days, Mr.BISHNU RAM MEDHI of the of the Indian National Congress/INC had been the Second Chief Minister of Assam State. 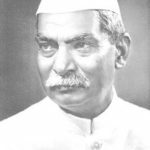 From 28th December 1957 to 6th November 1970, for a period of 12 years, 10 months and 9 days, Mr.BIMALA PRASAD CHALIHA of the Indian National Congress/INC had been the Third Chief Minister of Assam State. From 11th November 1970 to 30th January 1972, for a period of 1 year, 2 months and 19 days, Mr.MAHENDRA MOHAN CHOUDHRY of the Indian National Congress/INC had been the Fourth Chief Minister of Assam State. From 31st January 1972 to 12th March 1978, for a period of 6 years, 1 month and 12 days, Mr.SARAT CHANDRA SINHA of the Indian National Congress/INC had been the Fifth Chief Minister of Assam State. From 12th March 1978 to 4th September 1979, for a period of 1 year, 5 months and 23 days, Mr.GOLAP BORBORA of the Janata Party had been the Sixth Chief Minister of Assam State. From 9th September 1979 to 11th December 1979, for a period of 3 months and 2 days, Mr.JOGENDRA NATH HAZARIKA of the Janata Party had been the Seventh Chief Minister of Assam State. From 12th December 1979 to 5th December 1980, for a period of 11 months and 23 days, the Assam State had been under the ‘President’s Rule’. 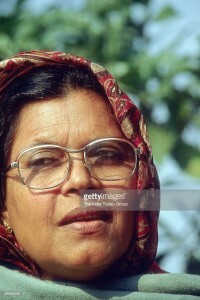 From 6th December 1980 to 30th June 1981, for a period of 6 months and 24 days, Mrs.ANOWARA TAIMUR of the Indian National Congress/INC had been the Eighth Chief Minister of Assam State. 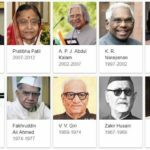 From 30th June 1981 to 13th January 1982, for a period of 6 months and 13 days, the Assam State had been under the ‘President’s Rule. From 13th January 1982 to 19th March 1982, for a period of 2 months and 6 days, Mr.KESAB CHANDRA GOGOI of the Indian National Congress/INC had been the Ninth Chief Minister of Assam State. From 19th March 1982 to 27th February 1983, for a period of 11 months and 8 days, the Assam State had been under the ‘President’s Rule’. From 27th February 1983 to 23rd December 1985, for a period of 2 years, 9 months and 26 days, Mr.HITESWAR SAIKIA of the Indian National Congress/INC had been the Tenth Chief Minister of Assam State. From 24th December 1985 to 28th November 1990, for a period of 4 years, 11 months and 4 days, Mr.PRAFULLA KUMAR MAHANTA of the Asom Gana Parishad had been the Eleventh Chief Minister of Assam State. From 28th November 1990 to 30th June 1991, for a period of 7 months and 2 days, the Assam State had been under the ‘President’s Rule’. 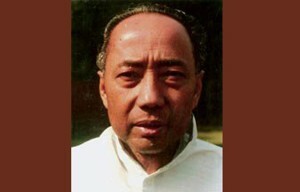 From 30th June 1991 to 22nd April 1996, for a period of 4 years, 9 months and 22 days, Mr.HITESWAR SAIKIA of the Indian National Congress/INC had been the Chief Minister of Assam State. From 22nd April 1996 to 14th May 1996, for a period of 22 days, Mr.BHUMIDHAR BARMAN of the Indian National Congress/INC had been the Twelfth Chief Minister of Assam State. 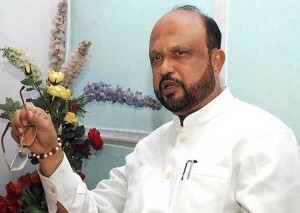 From 15th May 1996 to 17th May 2001, for a period of 5 years and 2 days, Mr.PRAFULLA KUMAR MAHANTA of the Asom Gana Parishad had been the Chief Minister of Assam. 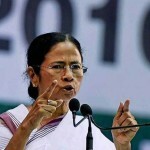 From 17th May 2001 to 24th May 2016, for a period of 15 years and 7 days, Mr.TARUN GOGOI of the Indian National Congress/INC had been the Thirteenth Chief Minister of Assam State. 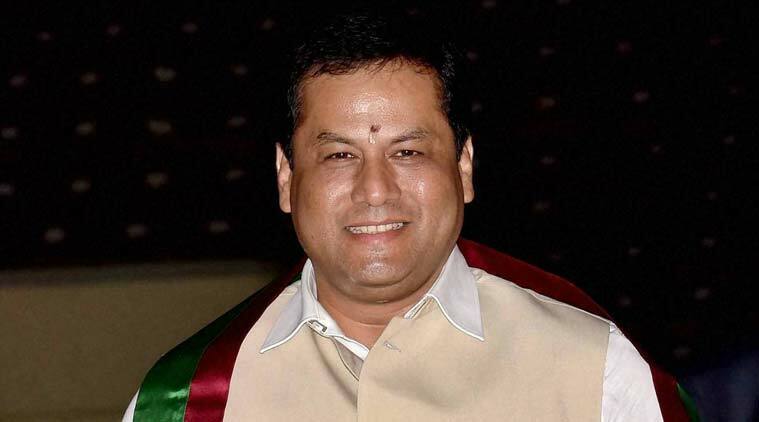 From 24th May 2016, Mr.SARBANANDA SONOWAL of the Bharatiya Janata Party will be the Present Chief Minister of Assam State.